Sunlight is the best kinda light. Here’s how to welcome it into your home. Instagram users love it. Photographers and filmmakers use it as much as possible. Architects design around it. Yes, we’re talking about natural light. Designing a home with adequate natural light is often overlooked, which is a pity, because it can make a lot of difference. Natural light not only changes and upgrades the look and feel of your home, it also boosts health and wellbeing as sunlight is filled with Vitamin D. Plus, you’ll also save more than a few bucks on that electricity bill. It pays to understand the relationship between incoming sunlight and your humble abode. 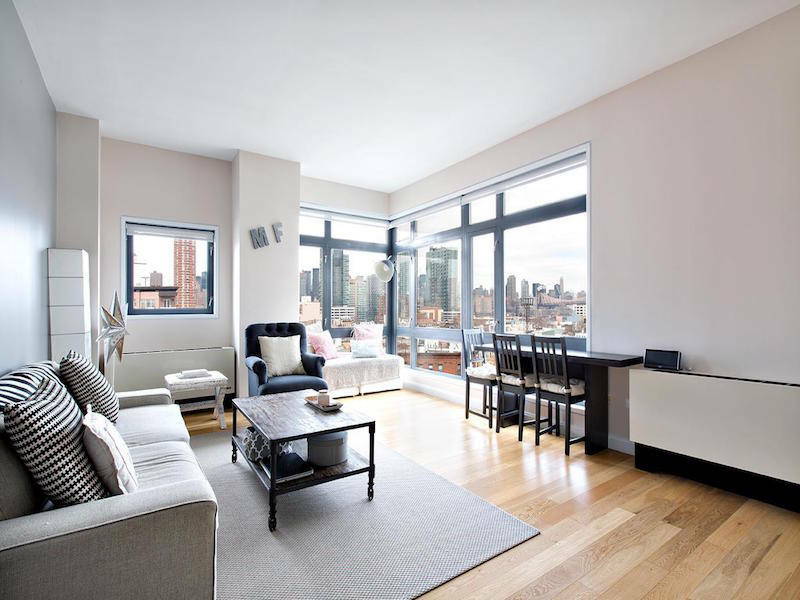 Because once you do, you could control almost everything – from the perfect place to place your TV and couch, to being enjoying morning meals with the friendly sunlight. You could position seating arrangements near a natural light source, or place a desk in your study under a window. And here’s a pro tip: if you can help it, make the largest side of your house face south and have the most windows there, as it will receive the most direct sunlight throughout the year. Window types affect the penetration of natural light. Whether your windows are frosted or clear, or tinted or not, it’s a good idea to plan your window selection around the kind of light you want to receive. For example, placing a big, clear window at a dark corner like a stairwell provides wonderful natural exposure. A word of advice though, windows let in a lot of natural heat along with the light, so apply large windows to generally cool areas like the living room instead of the kitchen. 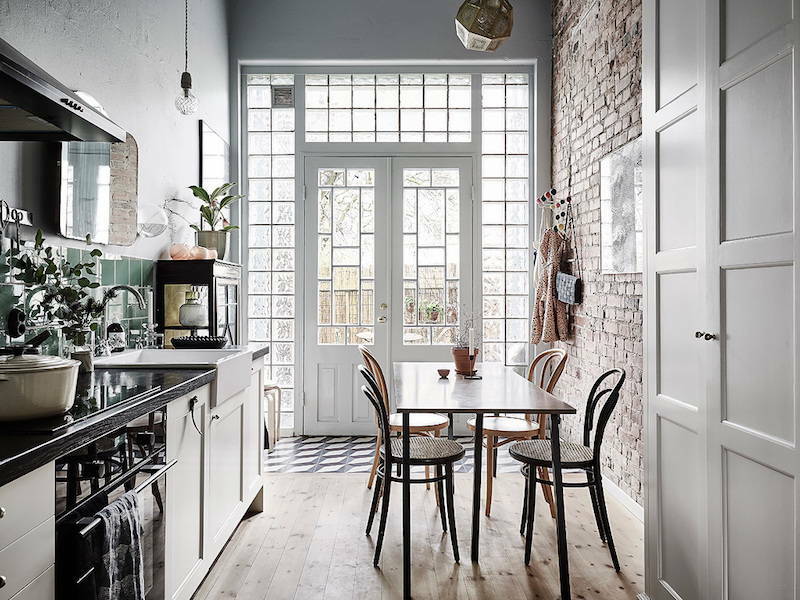 Glass and French doors are a great way to welcome natural light for obvious reasons. Using glass in your doors could be a great solution to places with limited exterior window space. If privacy is a concern, you could always drape a curtain over the door when necessary, or just opt for tinted glass. Picking light colours for your wall and furniture could make a huge difference to the overall look of your home. This is because colours like white and metallic act as indirect light source by reflecting light. 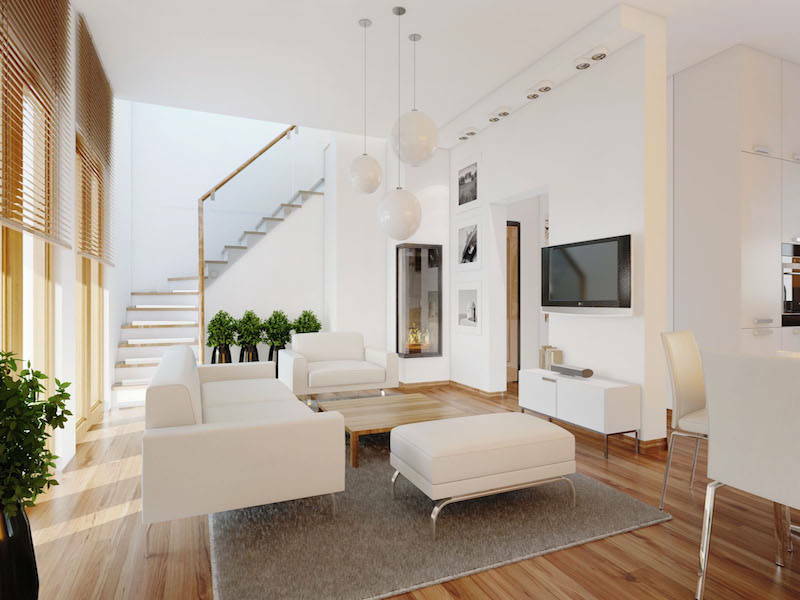 Plus, light colours brighten up the space, making it feel more spacious. 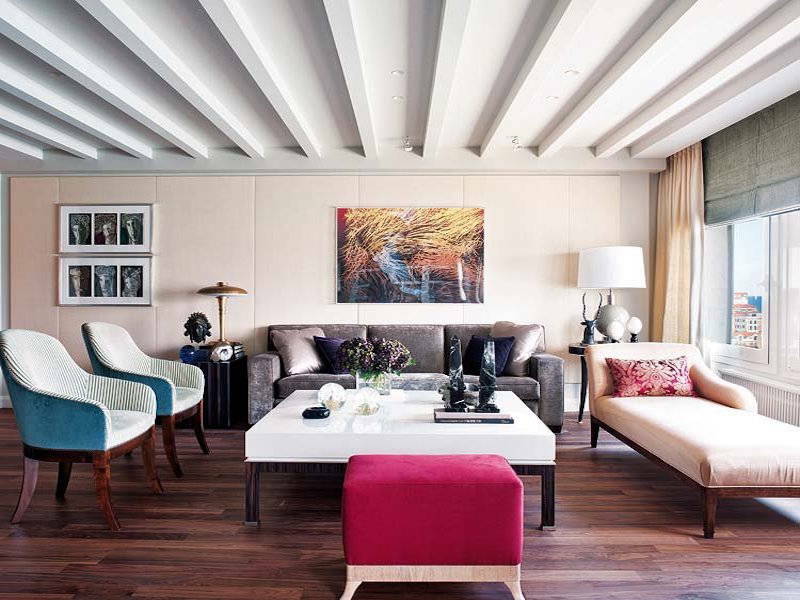 Explore our tips on on making a room seem bigger. 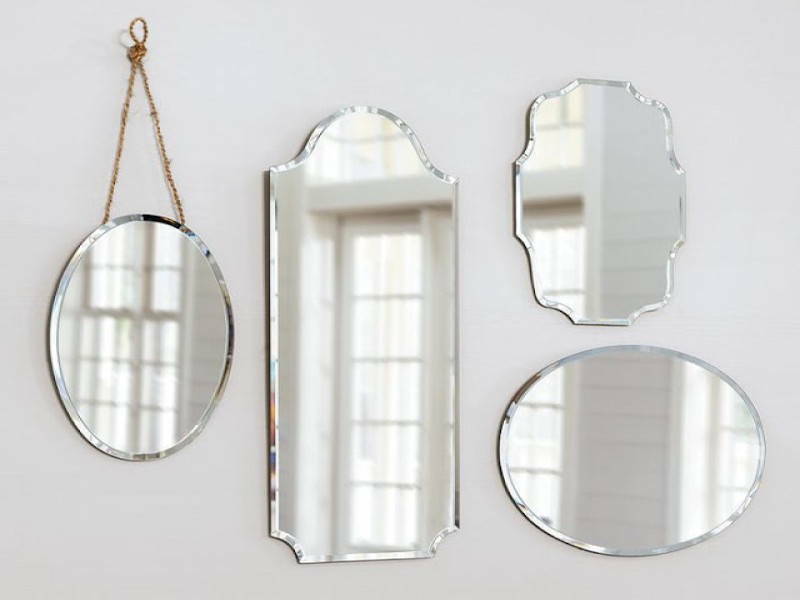 Mirrors can be your best friend, and with good reason – a well-placed mirror helps catch and reflect natural light to darker areas or other floors in the house, opening up small spaces. Placing mirrors behind lamps enhance the glow of your lamplight. And if you have a fantastic view across your house, place a mirror opposite it to reflect and highlight it. TDDs let sunlight in or transfer sunlight from one area to another. 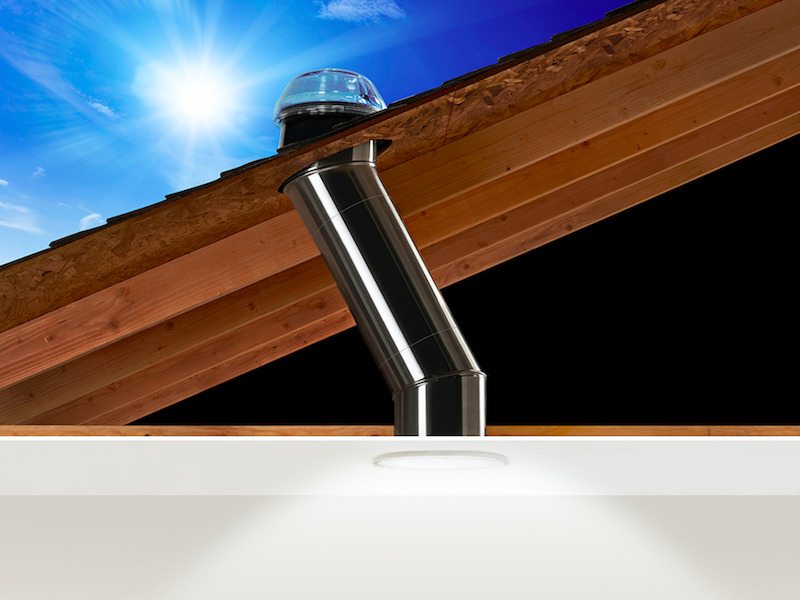 Also known as light tube, this high-performance lighting solution helps provide natural light to dark areas around the house. 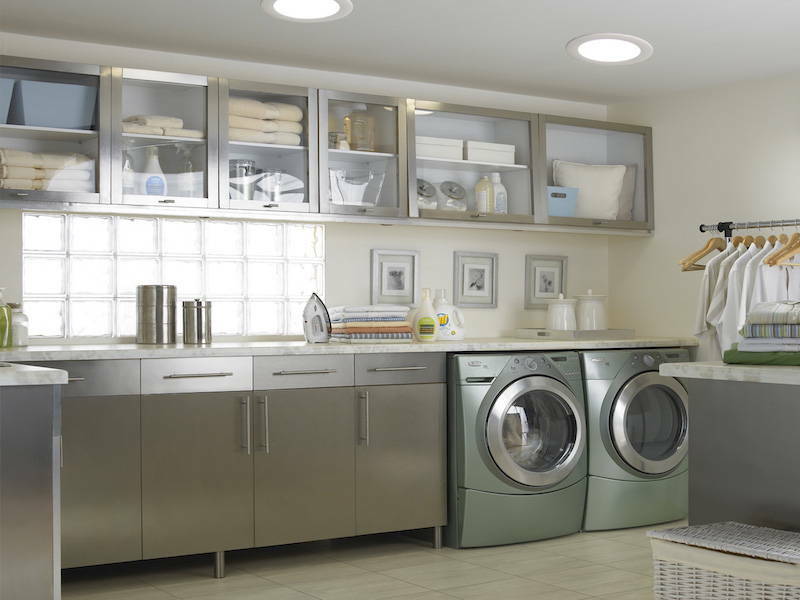 TDDs are a great option for sunnier countries and energy-conscious homes. You can find lights like this at Solatube.